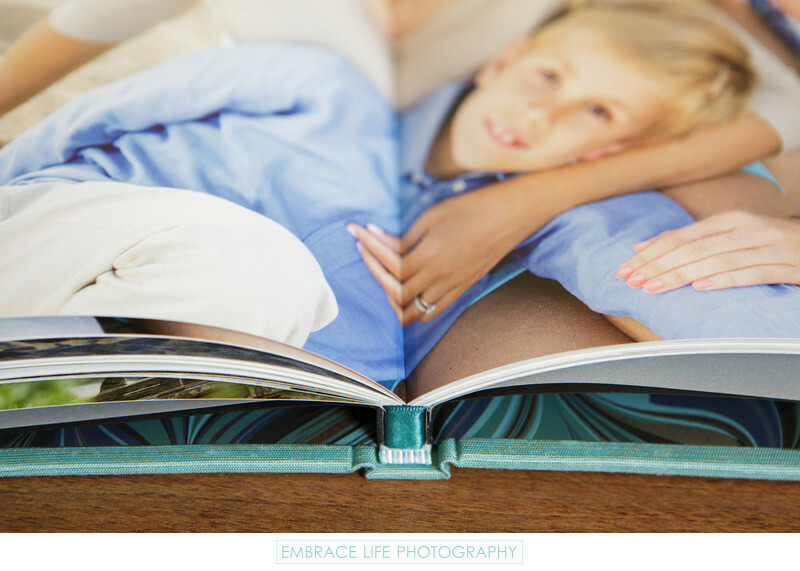 Portrait photography books can be works of art, like this upgraded, luxury Coffee Table Book. This detail photograph highlights the beautiful blue silk ribbon binding, gives a peek of the designer end papers, the robin's egg blue silk cover and the thick, layflat, matte paper. Every fine detail of this Santa Monica portrait photography book supports the beautiful, meaningful images on its pages.